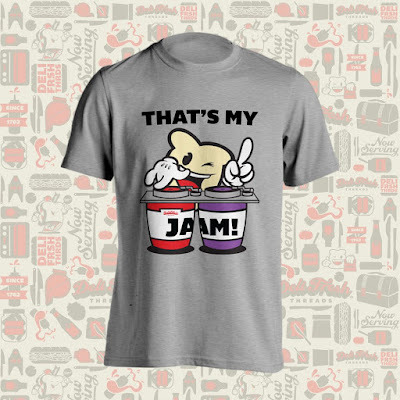 Our friends at Deli Fresh Threads have just released another of their signature food themed t-shirts! You may occasionally hear people say “That's My Jam!” when they hear a great song on the radio. But at Deli Fresh Threads, when someone says “That’s My Jam!” they’re really talking about sweet fruit preserves that spreads perfectly on any bread or sandwich. For this release, Biggie worked with Nick Ortiz of Nick Ortiz Design on this JAM tasty new tee. 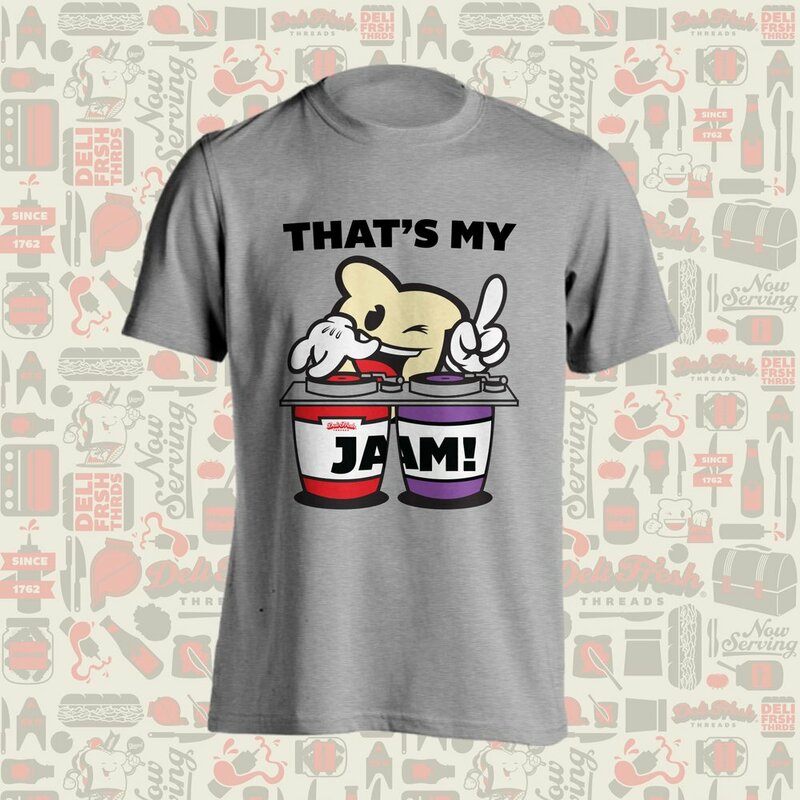 The “That’s My Jam!” t-shirt is available now, in sizes S-3XL, on a heather grey tee at the Deli Fresh Threads online store for $24.99.